Incredible acting can not save this tedious and pseudo-"reality TV show" style rewriting of history aimed at devaluing American exceptionalism, American accomplishments and American heroes. No sexuality, a handful of mild profanitites (and one quite vulgar but understandable cuss word muttered off screen by someone feeling very ill) and a lot of visually disturbing images including prolonged scenes of extremely violent shaking and people trapped in a fire in an enclosed space. Were this an accurate inspiring portrayal of the space race I'd say it was worth it, but as it is there's really NO POINT. 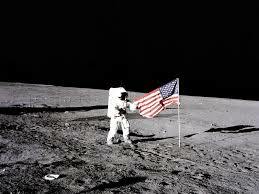 I was 10 years old when the first man – an AMERICAN – walked on the moon. I remember it being late in the day – 9:56 pm CST to be precise – where we were, so I had my P.J.s on. 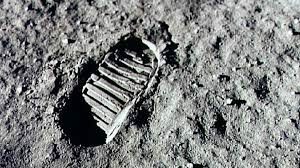 And when Neil Armstrong uttered those now amazing words for the first time: "That's one small step for man, one giant leap for mankind," I SAW it on TV. Then everyone in the house – Mom, Dad, my brother and sister and her fiance all ran outside. 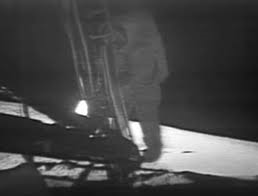 I was barefoot, so my future brother-in-law swept me up and carried me outside with our group and we all just stood near Metairie Road, because nearer to our house the view of the sky was obstructed by trees – and we just looked and waved to Neil Armstrong. And we were not alone. 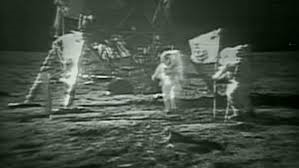 People all over the WORLD cheered and cried and laughed and were simply amazed at the INCREDIBLE event that AMERICA had accomplished, putting the FIRST MAN – an AMERICAN man – on the moon. 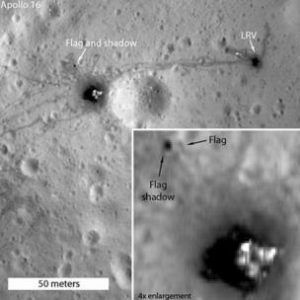 America was the FIRST country, and to date the ONLY COUNTRY, to make an extraterrestrial manned landing, was AND IS the FIRST AND ONLY country to have a man step out ONTO extraterrestrial property, and frankly is the FIRST and ONLY country in the world or in HISTORY to legitimately lay CLAIM to an extraterrestrial piece of land. 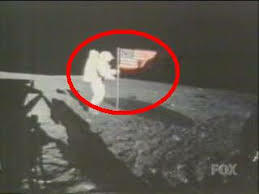 In a fit of historic re-engineering to downplay the obvious American exceptionalism in such a feat, First Man pointedly neglected to show the planting of the American flag – a symbol as synonymous with our achievement as the image of the booted human footprint or Lieutenant Armstrong's step off the module. Their excuse is that they think Armstrong didn't see himself as an American hero but that it was an accomplishment of the world…..NO! The world didn't pay for it. 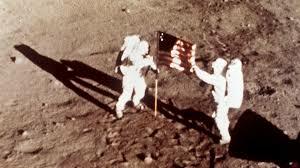 The world didn't chip in men or time or money or blood or industry or lives in plenty for our AMERICAN space program. No one but AMERICAN men died in our test planes and shots and explosions. The UN had nothing to do with it. 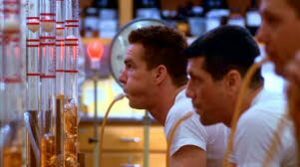 And I don't really care what the filmmakers think Armstrong's opinion was. This was ENTIRELY an American adventure against which we were in competition with other countries. 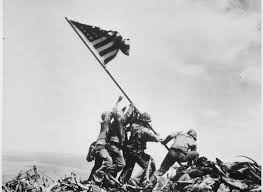 And even if I bought into the vacuous "world accomplishment" POV – which I do not – the fact is the flag was planted. 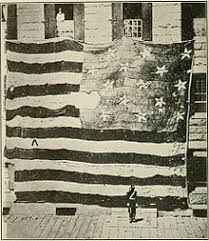 Our AMERICAN flag was visible in places and photos where the director – Damien Chazelle – deliberately chose, in an act of sheer arrogance, to inauthentically, blatantly and unilaterally eliminate our AMERICAN flag from the picture. And yet they CLAIM to be historically accurate emphasizing its FALSE historicity with the documentary style footage. This is an affront to every man who died, to every widow who had to raise their children without one of the men who perished in a test plane or capsule, to every man, woman and child who devoted their prayers, tax money, sweat, enthusiasm and attention to this DISTINCTLY AMERICAN program. Before I went to see First Man I had heard about this flagrant insult to the memories and sacrifices of our country. I had been concerned I would have to chide what I had been sure would be an otherwise excellent movie about the space program. I needn't have been concerned. There are PLENTY of other egregious flaws with First Man. Insulting the planting of the American flag by ignoring it was just one of many. To start, however, the acting was excellent. In Claire Foy I think we're seeing the making of a British Meryl Streep – a woman who can so artfully immerse herself in character that you don't recognize her from one performance to the next. She is a true actor – as defined by Alan Swann in My Favorite Year when he explains in comic desperation that he is "…not an actor, I'm a MOVIE STAR!" (For more examination of this point please see the first paragraph of my blog Operation Finale). Whether the Swedish Girl in the Spider's Web, the crazed American in Unsane, Queen Elizabeth II in The Crown or as Janet Armstrong, Foy nails it. There is a scene at the end, brilliantly performed, of almost complete silence, visually emphasizing Armstrong's inability to connect with anyone, where Gosling and Foy say more in subtle looks and gestures than most movies do in pages of script. 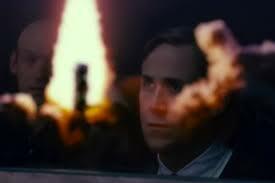 Unfortunately, while Ryan Gosling is excellent too – he expends his talent creating an extremely unpleasant person. 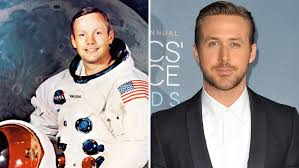 Were I Neil Armstrong's descendants I would be thoroughly perturbed at the portrayal of the famous astronaut in First Man. It is also just poor script writing. We all know the outcome of the story: It took years, there were a number of Gemini shots which made sure we could safely get a man into space, dock with another vehicle and return him home alive. 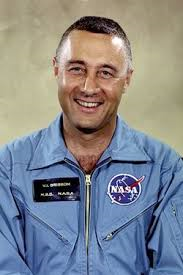 Then Apollo 1 blew up, Apollo 11 made it to the moon and there were a number of successful Apollos in between. In order for such a pervasively well known story to work you have to care about the characters. 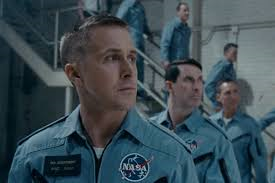 And the Neil Armstrong in First Man is not only unlikeable, he is unapproachable. Cold, distant, unfeeling, harsh, abrasive even to his best friends, his wife and his sons, the writer chalks his personality issues down to his inability to overcome the death of his toddler daughter by brain tumor. He flees the funeral of a fellow astronaut, to run away home, without a word to his wife, ignoring the fact she is in pain as well, and leaving her, humiliated, having to beg a ride from a friend. He shuns his friend's offers of counsel, as he stands staring into space in his backyard with: "Do you think I came out here because I wanted to talk? Do you think I left the funeral because I wanted to talk?" He not only refuses to answer his worried wife's inquiries when he returns home bloodied and burned after an almost fatal crash, but immediately runs away claiming to have "forgotten something at the office". Janet has to bully, berate and throw things to get him to say goodbye to his own children, for possibly the last time, before he goes to the Moon. He seems immune to the agony of his dead friend's widow. And the flashbacks of his dead daughter, which cripple him into apathy, become redundant in their predictability at crisis moments. I've seen serial killers, devoid of empathy, portrayed as more emotionally engaged than poor Ryan Gosling's Neil Armstrong. It is difficult to believe NASA would put someone so emotionally and psychologically damaged in charge of THE one and only first ever in all of human history – moon landing. The retro historians were out to trash an established American hero. Basically they portray Neil Armstrong as a body part reserved for proctologists. And even if this were true, the story of the First Man, who was landed on the moon by AMERICA, was NOT the place to put it. 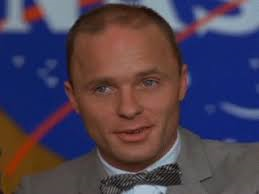 If you want a tell-all, soap opera bio pic of Neil Armstrong, then by all means, go ahead. But don't pretend this tortured portrait of an American hero is a reflection of the American Spirit or play fast and loose with history while claiming to be accurate. 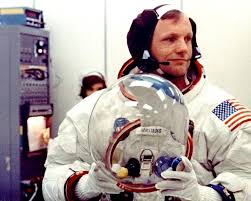 Don't make a psychologically crippled version of Neil Armstrong the center of a movie about the space race. Either show Armstrong's whole life warts and all or put the uplifting endeavor that was and is the AMERICAN space program in the correct light. The only reason to have it "both" ways and put it ALL in a negative light is because you wish to undermine and treat with dismissiveness the AMERICAN moon walk in particular and AMERICA in general. 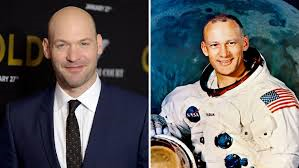 Nowhere in the entire movie is the joie de vivre, the enthusiasm, the sheer joy of exploration and discovery that was and is the American space program, not even in the more realistically portrayed Gus Grissom (Jason Clark) or Buzz Aldrin (Corey Stoll). 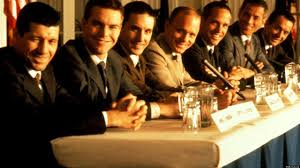 Where is the comraderie from The Right Stuff? 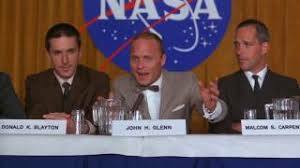 Where is Ed Harris' John Glenn who exemplified that genial excitement or Dennis Quaid's cocky and arrogant but infectiously confident Gordon Cooper in the movie about the lead up to the moon shot? Harris and Quaid's Glenn and Cooper, respectively, personified why charting the unknown was worth the trials and terrors and tears that it cost us. 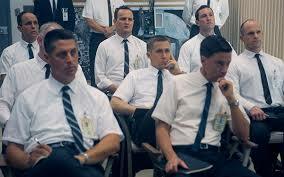 By contrast First Man makes it look like the space program was the unwanted chore of a beleaguered group of government bureaucrats with which we foolishly burdened the American taxpayer. Chazell even rudely shoehorned in "Whitey on the Moon," an anthem against the space program. Playing it along with scenes of racially inspired protest marches, the film makers tried to make it appear as though this bitter song was a reflection of the "popular" sentiment during the years leading up to the moon shot. This song, with all its resentment and anger, was neither a representation of the mood of the country concerning the space program NOR even published until AFTER the first landing on the moon took place. Its anachronistic insertion was amateurishly spliced in, as though from an entirely different movie and had no bearing on the outcome of the story. 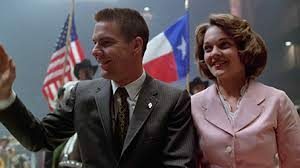 The obvious intent of First Man was to make it appear as though the American public was against the program, when, in fact, the approval for the space program was enthusiastically positive along all the —isms you can imagine because it was a unqiuely AMERICAN program of which every AMERICAN could be proud! In the end the entire WORLD was rooting for AMERICA and these three AMERICANS to get to the moon, land and return alive – which AMERICA accomplished FIRST. Instead of the exciting, energizing program that created jobs, inspired innovations and injected new levels of patriotism across our country, First Man tried to portray the space program as a draining, painful, horror movie. The audience has to sit through interminably long, difficult to endure, near real-time length scenes in the capsule, including the deafening roar from inside of the relatively primitive Gemini 1 and the monster-like screaming of the exploding rocket fuel and distressed metal as it strains to not come apart in Apollo 11. The director's choice of near home movie found-footage semi documentary-style makes the movie feel even more harsh and barren, especially as we walk often through dated, sparsely adorned versions of the military housing where these men and their families lived. And slow! Oh my goodness! 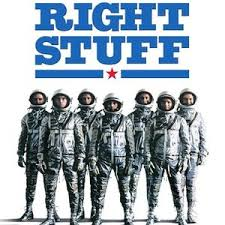 It was as though Stanley Kubrick became enamoured of The Blair Witch Project, and insisted on the acting techniques of HAL from 2001 to make a sequel to The Right Stuff. 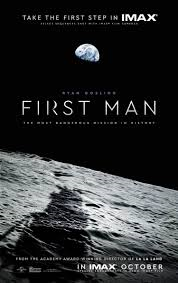 First Man is yet another obvious attempt by the intelligentsia to target and try to downplay, trivialize and sully the achievements that highlight America's genuine and unique exceptionalism. They emphasize the space program's problems and failures without celebrating their successes and astonishing one-of-a-kind accomplishments. 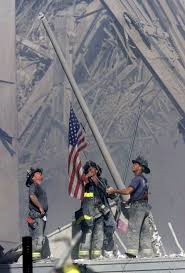 And – guess what – when last we looked "…our flag was STILL there!" 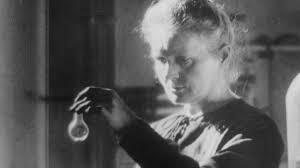 Poland should be rightly proud of Madame Curie's discoveries. 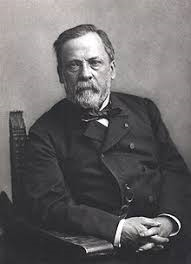 The world should be grateful to France for producing Louis Pastuer. 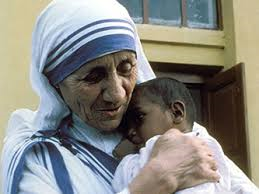 The world admires and loves Mother Teresa, a native of Skopje (now Macedonia). 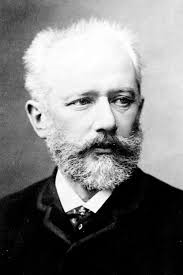 Humanity is better for the beautiful music of Russia's Tchaikovsky. 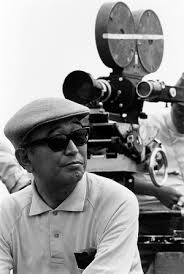 Japan's Kurosawa's movies are considered classics. All these countries love their native sons and daughters and take every opportunity to extol them to the world. What is WRONG with some Americans?! The country of their birth, which has given them and the world so many blessings through the grace of God is unappreciated by many whose thriving is owed to the freedoms for ingenuity and success that America affords. Other countries seem to appreciate and respect our flag more than do some of her native peoples, and it is infuriating. 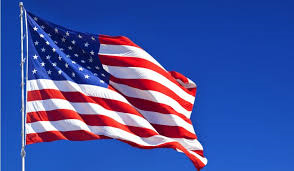 If you do not appreciate the many many blessings of living in America and being an American then, as another blessing of living in America, you are free to go to some other country for which you have more respect. If you wish to make movies about American history then I don't expect perfection or for it to be shown without mistakes, for no human endeavor can be done without them, but I do expect that it would be created with respect. 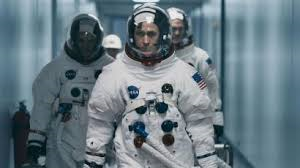 In short First Man is the LAST place you want to go for a good uplifting (pun intended) movie about the space race. 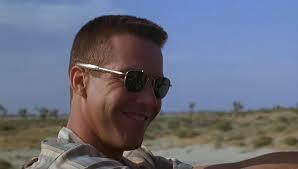 Instead, just go watch The Right Stuff again! !